I actually like the wraps. My public transport use is almost all done in peak hour, split 50/50 between wrapped and unwrapped buses (I live near a glider route). In the summer months, low morning and evening sun and the hectares of glass on the buses makes the unwrapped buses rather unpleasant and hot regardless of A.C., while the wrapped buses are noticeably cooler and more pleasant inside. 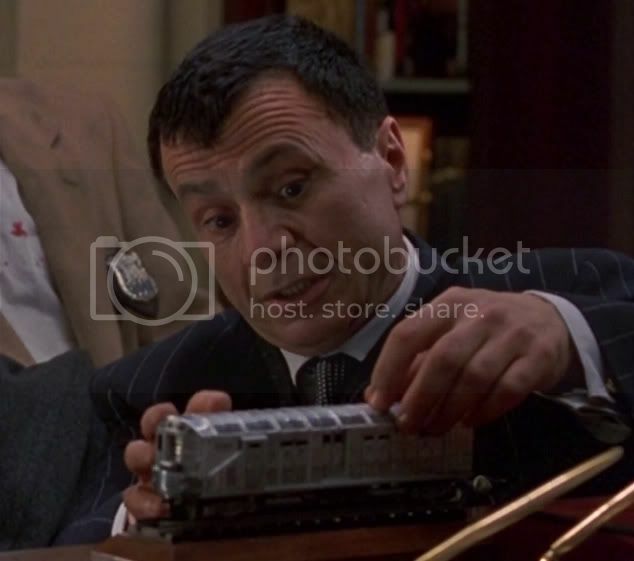 We need more wrapping on Trains. Maybe a big Qantas or Virgin wrap on half the train? A Coles or Woolworths wrap? A Broncos Wrap? Sit under an air-conditioning vent if you get that hot. If people are regulars they should be able to work out where they are. Trains have next stop info on PIDs and via audible announcements. You can still see out the windows with wrap. Mmm! An Android phone wrap may look good. Movie title wraps. We should of had a "Star Wars Wrap" on a train when it came out! Sensibly run systems don't pull this stuff. Ours does. I think wraps are good brightens up the network. Better than some Graffiti. Airline wraps like Qantas Tiger etc.... would be appropriate on the Gold Coast /Airport line, even if those trains are sometimes used on other lines. I don't really think wraps cut down on heat... but as a laptop user they certainly cut down on reflected glare! I hate them. They are a major problem for many users. The vehicles are designed to run cool with unwrapped windows. You have your view. We have had constant feedback locally and around Australia about the problems they cause. No, ad wraps are a scourge. 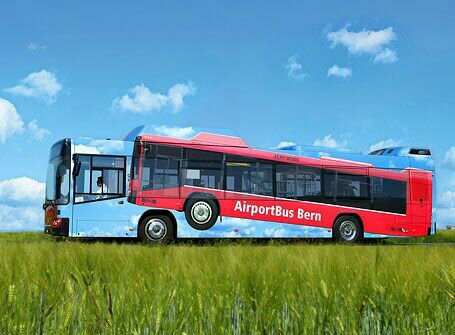 Why build public transport vehicles with windows? You could save money by building windowless tin cans. There are potential security issues with wrapping the windows. I am surprised that so called public transport enthusiasts fail to grasp the big picture, but hover on selfish narrow perspectives. It will take one security incident that highlights the difficulty of seeing into the vehicles that will promptly see the removal of all adwrap from windows. Smart jurisdictions think ahead, but hey we are in banana-land. London does not cover up windows. Our position is that ad-wrap is fine, as long as windows are left clear. I have just walked down Adelaide St. I noted a bus with ad wrap, only the rear couple of side windows covered, most of the windows clear. This is a lot better and preserves most of the clean/clear vision. Wrap is here to stay. It's worldwide and the Advertising marketing giant's like it. 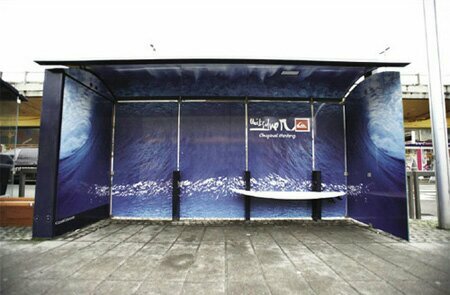 A Typical bus wrap from initial idea to wrapping the bus takes about 1 month. This is the average time to go through the entire process. Queen Kong – Includes both sides along with area between front and rear tires with coverage below the wheels. Full Ribbon – Includes area both sides below the windows and above the belt line. Partial Ribbon – Includes area both sides below the windows and above the belt line, between wheel wells. Back Cap – Includes top of rear only. I think you saw the half wrap this morning. Types of wraps explained above. Nooooooope. Not true. There are many factors that will influence this on buses. These include where you are sitting on the bus. What side of the bus you are sitting on. The model of bus you are on as the newer ones run the engines/exhausts extremely hot. This is amplified on the short stop/start routes such as those in the city. As too can the amount of passengers and the amount of time the doors open/close. This effect is no more evident on the EMUs during summer when you walk from carriage to carriage especially at the terminus when the doors are left open in carriages closer to the exit as those with no doors left open are very noticeably colder. Nooooooope. Not true. Grubs still scratch them. You might just not notice it. Information to note.. this may have fallen off the back of a truck (that should've been on rail). 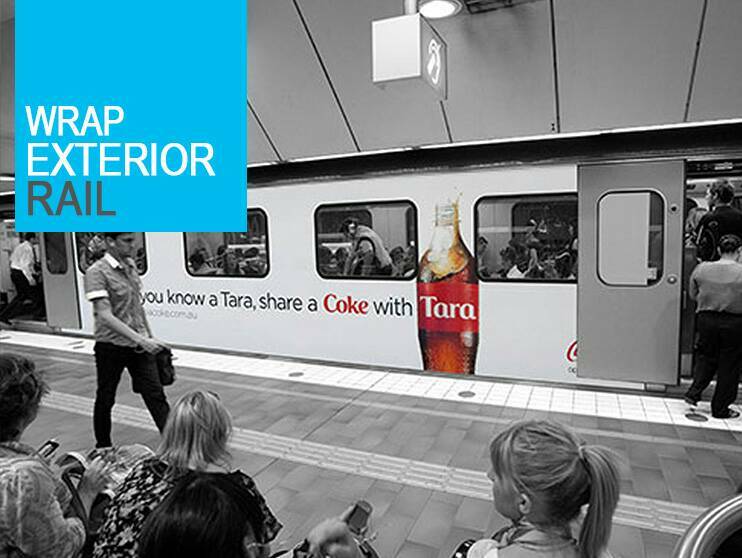 A complete advertising wrap for a bus costs $50,000 in Queensland, for just 4 weeks. It's $2000 for the small panels. 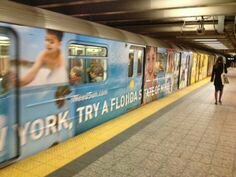 Rail advertising would be better value. That 4 weeks could turn into years - still seeing get "farewell the Sunlander" posters on board from 2014! Rain makes for a wonderful view, eh? "Good quality public transport doesn’t just change the journey, it changes the whole city"
All posts made reflect my personal views and do not reflect those of my employer. Here is a pic I took on a bus on the Sunny Coast last week. Wet day as well, shows half and half, clearly the reduction in vision of this scourge. Wet day as well, shows half and half, clearly the reduction in vision of this scourge. Not great, is it? I hate it. Unfortunately, ads will be on PT vehicles (and covering their windows) as long as somebody is making a tonne of money from the advertising space. Yo. It will take just one security incident and the crap wrap will be removed overnight. It is a measure of the incompetents we have that they fail to grasp the fact that public transport vehicles have windows for a reason. 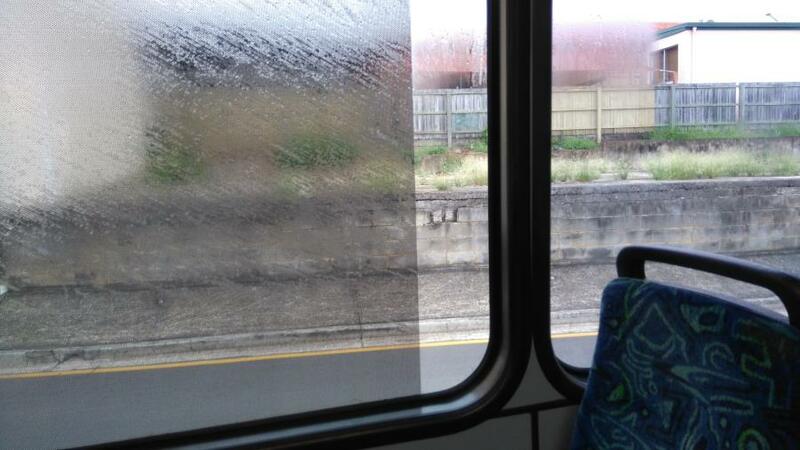 Maybe the next tranch of trains and buses should have no windows at all?? We are dealing with total fukwits sadly. Operators claim it doesn't reduce vision, yet would they put it on the windscreen? If the ADR's would let them, probably! I didn't find the current iiNet ones on the SMU's too bad, mind you it was reducing the morning sun on a fine day, which was nice. At night I can appreciate it would have a one way mirror effect. The revenue is basically zilch compared to ticketing revenue. There is plenty of real estate on the arse end, waists and roofline of a bus to accommodate advertising. No need for it to be on glazing whatsoever. Thank you Gazza. Post of the decade .. thank you ^ thank you. Do you mind if I borrow that line please? Off course they wouldnt put it on windscreens. There are blinds and visors right, similar thing! Usually the top quarter of windscreen has tinting or built in infused wrap as a visor!? I mean all the way across the front, so people could see an advert as the bus approaches. Would they ever do that. Its like in cars side windows ok but windscreens like that would be against the law. I dont think operators have mention windscreens to be wrapped? I have been in Brisbane CBD today. I noted a lot more BT buses with only one ad panel on side now. This is a lot better and probably acceptable. Still buses with more though, and still some with complete wraps. I don't really mind the bus wraps and don't have a strong position on them. I think if the wrap covered 60% of the bus, this is fine. People can choose to sit and look out the window in the unwrapped section. Yes! That's a fair compromise to allow revenue to flow from wrap. ... Mr Pennings has also thrown his support behind independent mayoral candidate Jim Eldridge's plan to ban alcohol advertising on council busses. 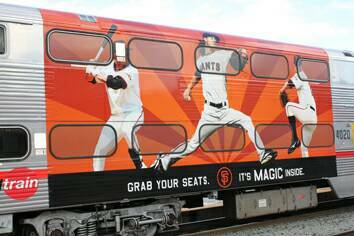 "We have had a lot of feedback in regards to wrap around advertising on buses," he said. "A lot of people, particularly at night, are having a hard time seeing their stop. I think its ok to have liquor advertising around the place on busses, bus stops and train stations its freedom of choice. I dont like too much Nannying we have enough of that already. Liquor is 18+ people can make informed choices. Soon they will be proposing banning chip ads or soft drink ads or bottle water ads, or Bali ads because it might intice people to go to Bali and drink. Where does it stop? Can we please see out of and into buses, trains, trams and ferries? We are delighted that the Greens Candidate for Brisbane Lord Mayor Ben Pennings has raised the issue of all over wraps on public transport vehicles making it difficult for passengers to know their location, particularly at night or when wet (1). There is also a potential security issue with all over wraps as it is not possible to see into the vehicle. A wrapped bus for example, would be a much more obvious target for evil doings than an unwrapped bus. This is what confronts a passenger. 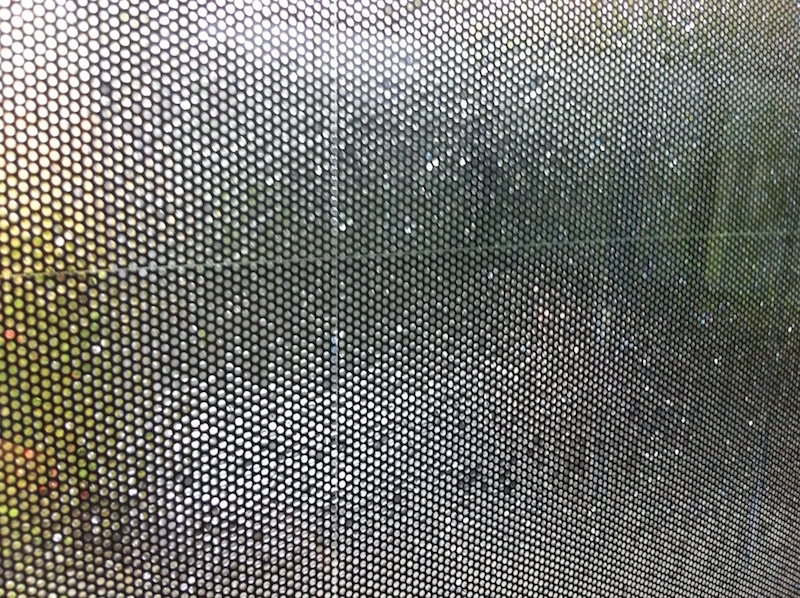 Photograph from inside of a bus with all over advertising wrap. On a recent visit to Brisbane CBD I noted an increased number of buses with limited advertising. Public transport vehicles have windows for a reason - to allow people to see out of and to see into the vehicles. Blocking these windows is treating the public with contempt in our opinion. ... "A lot of people, particularly at night, are having a hard time seeing their stop. Quote attributed to Mr Pennings. 2. 24 Sep 2014: SEQ: Can we please see out of and into buses, trains and trams!